loved playing the demo of fat princess and heard that it's got a pretty strong community. Welcome to the Jokers forum. Its nice to see new people are still getting into Fat Princess. Make sure you check out cakelair.net. On this community site people from different clans and clanless people come together to talk about FP. There is also lots of info about do's and dont's, tips to improve and teams/matches you can sign up to join. 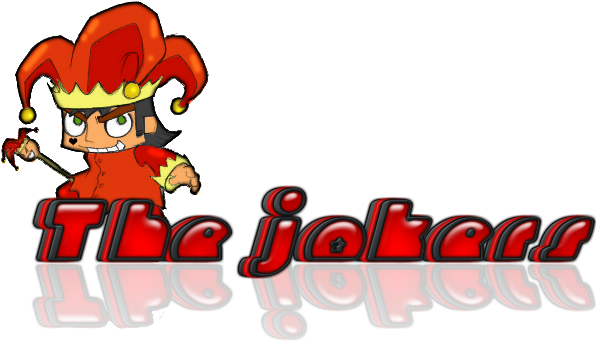 Welcome to the Joker forum! As a new player, I would encourage you to add some of the Jokers (or other FP players) to your friends list. Get into games with them and listen, observe and learn. Play, Play play your little heart out! 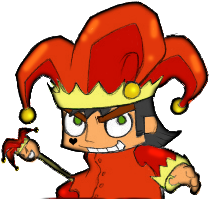 Practical Jokers are friends to our clan, that are still learning, looking for tutoring, advice etc. They are welcome to join our practices if there is an open spot. Even though you are not ready to officially apply to our clan, you are welcome on our forum. Please explore, post your thoughts, bump old threads, jump into chat. Make friends and seek out games. I ask that you look at our forum rules on the Portal page. (simply click on the Portal button at the top) just to make sure you understand the rules we abide by on the forum and in game. Good luck and once again, WELCOME! I usually stick to rpg and i've never really played online before so I don't know too much people. There are some players that treat their FL like an exclusive club. But if you take the time to at least write a sentence or two, most people aren't elitist. But welcome to the community! Even though its pretty late in FP's lifespan, in this community you're bound to meet people you play all kinds of games with! time zone is pacific? i live in cali, u.s.
No, I just meant if you enjoy it now, you would have become obsessed with it (like many of us did) a couple years ago. I remember when there was a whole list of quality games running just about any time of the day. That was when there were many more active clans. You are welcome to send me a friend request, and I will add you as well. The Jokers are a worldwide clan, so we have members in almost every time zone. Even though the community can seem hard to crack, the best way to make friends is to get on cakelair and post your heart out. Be honest that you are just starting out and are looking for some great mentors. It can be hard at first to get on someones friendslist, because we can each only hold 100 friends. So some people are cuthroat about who will get a spot. Many of us have filled our friendslist to the max with only members of the FP Community. My PSN is Pamalam, and if you add me I'll try to make a point of joining you in a game when I see you online. is it true if you host a game, you kinda have an advantage especially with the warrior or any class? In a community game or clan battle the rule is that the host does not use the warrior or the giant. All other classes are fine. I would encourage you to check out cakelair.net to learn about the community, the rules and the numerous clans. how heck are you any good ? u should totally still be a noob? u sure u just started playing? 50%= common sense and (observation) cause i love priest. so I pick a good player and follow what they do . and learn from it. I'm not sure you want my mentoring, wwt. Especially, after I fell into the abyss on Coco Cliffs. haha Either way, if you have any questions, just shoot me a message. Your priest seems good. Maybe we could practice the jump up the cliff on Coco. Welcome wwt!! :oFrom what I hear your quite good, hope to play with you in the future. I'll be sure to shoot you any questions. Thanks. We've heard so much about you I feel like we knew you before. Are you in a clan or have any intentions of joining any?